Looking for your next great adventure? We’ve got you covered! 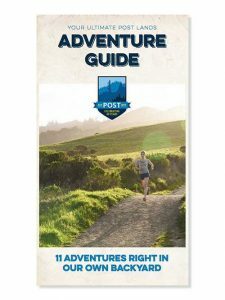 The new Ultimate POST Lands Adventure Guide is full of action-packed fun. We put our heads together to share our top local adventures, collected from years of staff experience exploring our open spaces. They’re the best of the best and, whatever your interests, this guide has something for you. Feeling extreme? Let loose at the Long Ridge Open Space Preserve. Want to take the kids? You’ll love investigating the tide pools at the Fitzgerald Marine Reserve. Or maybe you’re planning a romantic evening? We recommend picnicking with ancient oaks at Arastradero. And, with each adventure, we’ve even included our favorite local shops, watering holes and restaurants. With the spring flowers in bloom, creeks flowing with cool water and sun high in the sky – the days are ripe for adventure. There’s no better time to explore the 75,500 acres of POST-protected open spaces. These mountains, creeks, baylands, islands and grasslands are all yours to explore.